I've been thinking about getting a swirling swarm of bees tattooed around my left elbow to commemorate my 40th birthday. 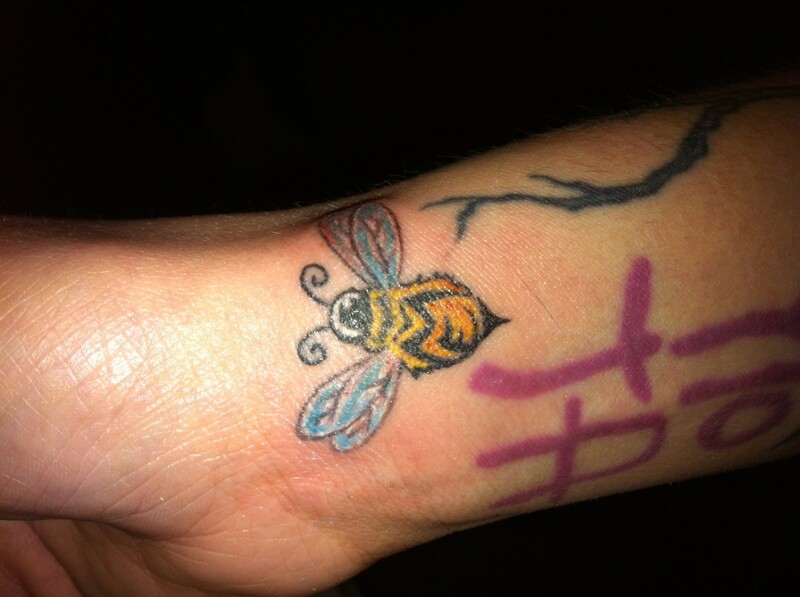 There are numerous meanings attached to the humble bumble bee, any of which you could choose to assign to your tattoo. For example, some early civilizations believed that honey bees were heaven-sent because they could always find their way home. As a result, the bee came to represent the soul and it was therefore considered bad luck to kill a bee. 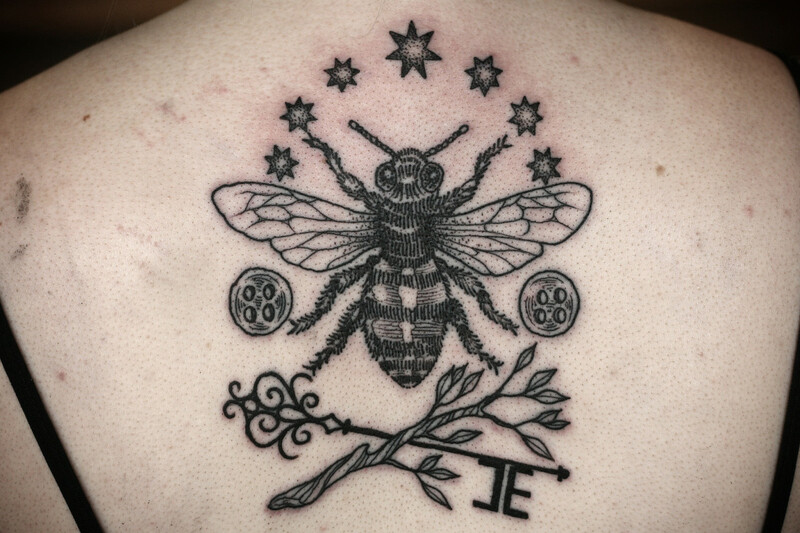 Others see the bee as symbol of fertility and sexuality. Many Christians have adopted the bee as a symbol of hope, focusing on the social order, cleanliness, and work ethic of the little bee. Bees have also been associated with family, royalty, and warfare: Hives were actually used as a weapon by the ancient Mayans. Who knew there was so much meaning packed in such a tiny, buzzy creature? 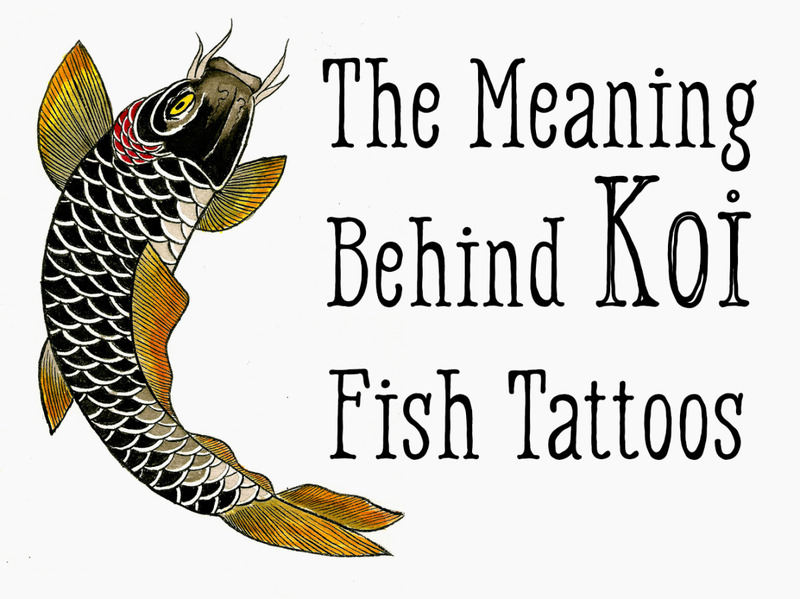 Of course you can assign your own meaning to your lovely bee tattoo and maybe even incorporate a word into the design. The dilemma with going with a realistic design is size. If you go true to size, they are not very big, leaving little room for detail. And as any artist worth their salt will tell you, forcing a lot of design detail into a small space will make for a bad tattoo that will bleed and not age well. So if your heart's set on realism and you want to show every tiny fuzzy-wuzzy bee leg hair, you'd better bump up the size. Did you know that each flower's nectar has its own distinct flavor, thus producing different flavored honeys? 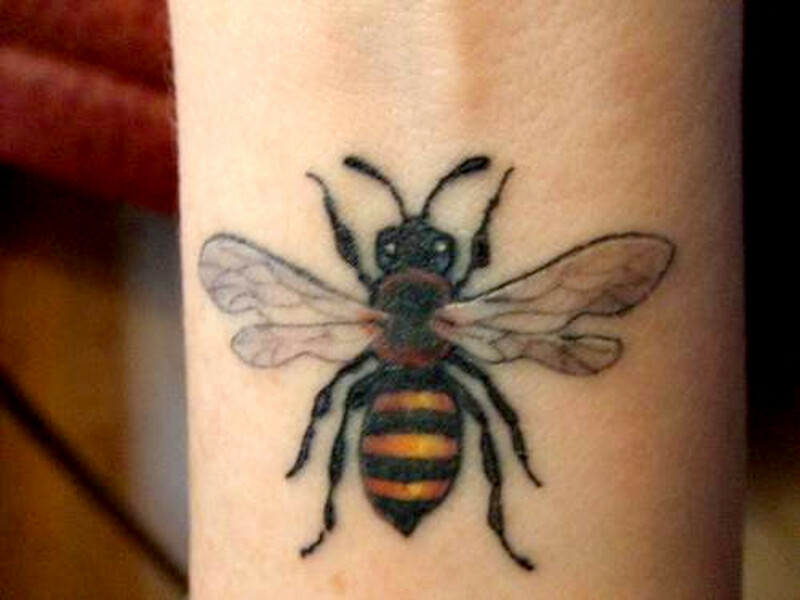 I just love a tiny tattoo and a cute little bee makes the perfect tiny tattoo design. Obviously, the simpler the design the better. 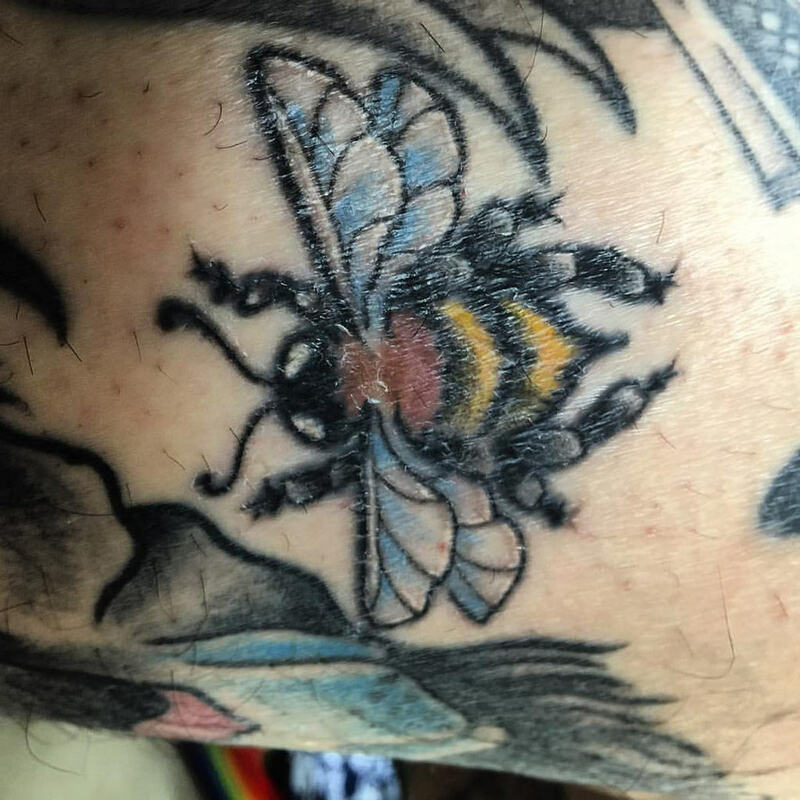 You could opt for one simple bee in a discreet spot or go with a number of the sweet bee tattoos and have your own little swarm, like I plan to do. The addition of wisps and dashes can add the illusion of motion and greatly enhance the design. Why not pick a curved part of your body and go for a swirl or a heart? Feeling a little bit cheeky? Then why not pick a design to reflect that attitude. How about a queen bee for your inner diva or an extra-large stinger to send a message that you're not to be messed with? What about a super smiley honey bee that says you are all things sweet and lovely? Let your imagination run wild, exaggerate the features you like best, amp up the color, and have fun. 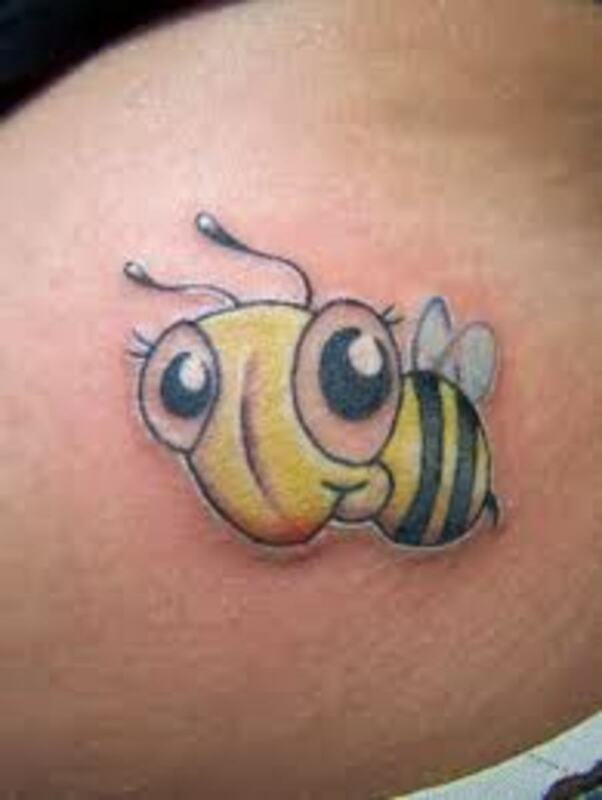 I can see how a tattoo like this might seem slightly more manly then a chubby little honey bee. So if attitude is what your aiming for, slap on an extra big stinger and show people you mean business. Adding a flower or a whole bouquet can add beauty and color to your piece. Flowers and bees are the perfect match. Consider opting for a a flower with contrasting colors to compliment the vibrant yellow of your bee. Do a little research to add realism to your art by picking a flower that bees are actually attracted to, like a sunflower or a poppy. You should also ask yourself whether you want the elements of your tattoo to be to scale and what is the focal point (the bee or the flower)? To get the detail you may be looking for, you may have to play with proportions a bit. Insects are amazing and beautiful. 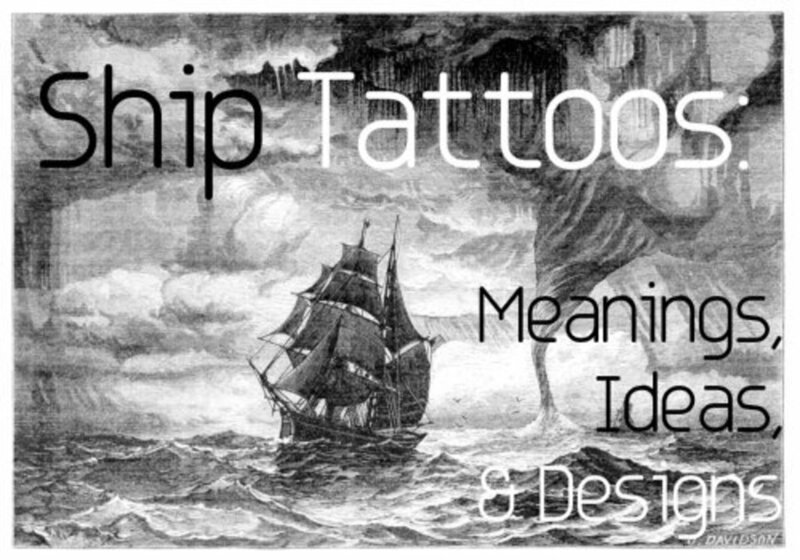 Mother nature has created miniature works of art in every one of them, and they make a wonderful subject for tattoos. So why not recreate a field of flowers and add some friends for your bumble bee, like butterflies, ladybugs, and dragonflies? 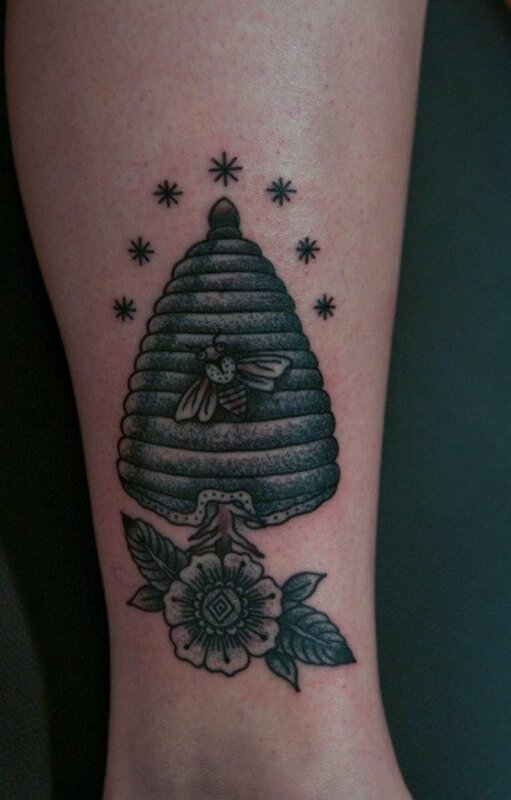 Some of the coolest bee tattoos I've seen have incorporated honeycomb into the design, as if the inside of the person is in fact a hive, pulsing with activity. Although this might seem creepy to some, there is no denying that the effect is quite dramatic. If the element of home and family are the aspects you are trying to emphasize, then adding a hive to you design sends that message loud and clear. Make sure you have chosen a spot on your body that allows for enough space to showcase the work. Why not take it a step further and include a branch for your hive to swing from? Seriously, is that not one of the most amazing tattoos you have ever seen? Gorgeous, brilliant, unique. Never in a million years would I have thought to incorporate an intricate design with a bee and yet the results are stunning. Obviously you would need to commit to a rather large tattoo to pull this off, but wouldn't having something as beautiful as this on your arm be worth it? 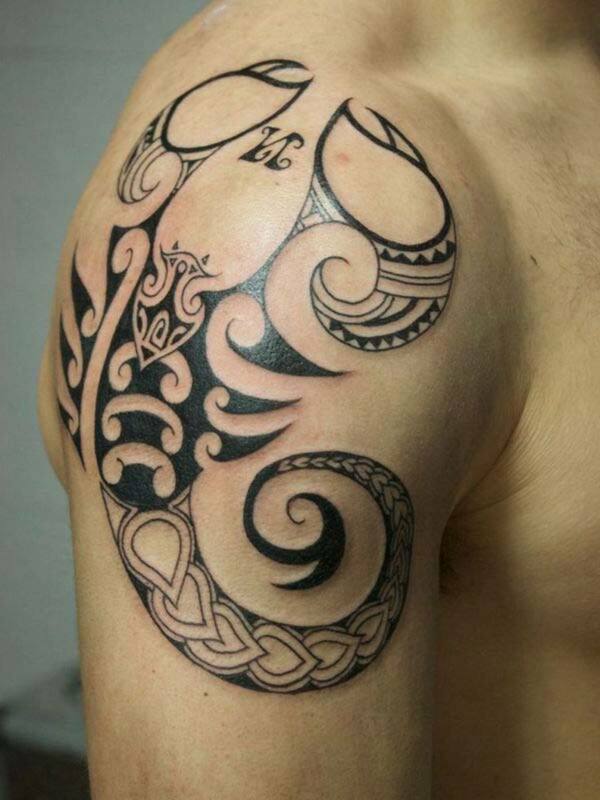 A number of other elements could be mixed in with this design, including Celtic, tribal, or even biomedical. Tattoos are a wonderful way of expressing yourself through art, so choose a design that really speaks to who you are and what you care about. 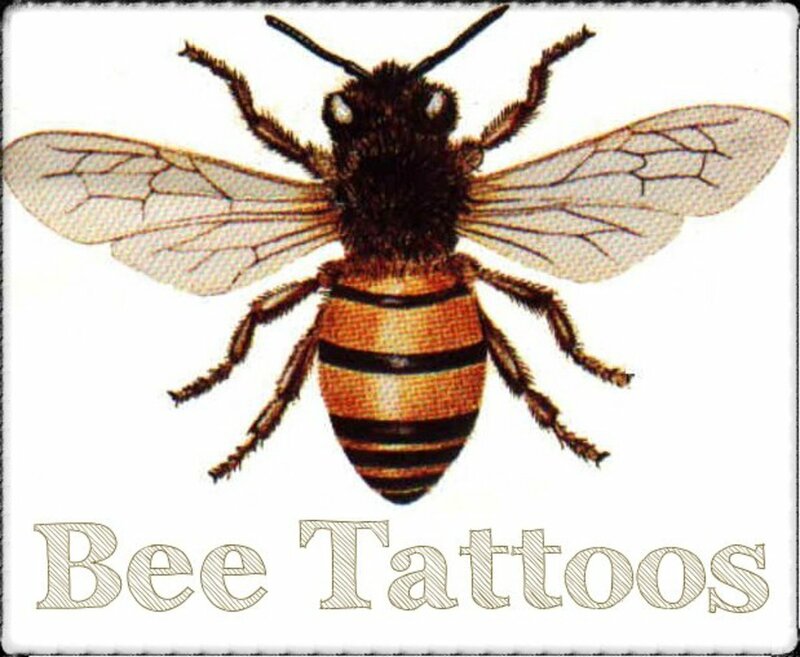 And with its diverse symbolism and many design options, a bee tattoo may just be the perfect choice for you. It certainly is for me. Stayed tuned, as my 40th birthday rapidly approaches I plan on posting a picture of my own lovely swarm of bees that will serve as a reminder to "bee happy." Thanks for reading and happy inking! What does a little tiny ladybug mean? I like your hub. It is beautiful. I learned so much about the meaning of the bees. 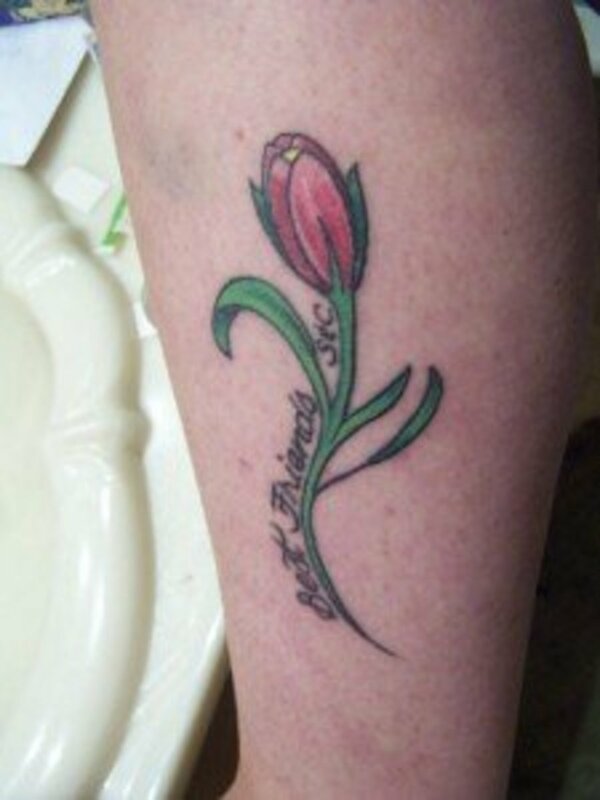 I did not know tattoos required time and planning. You did an excellent job miss thunder mama. Wish I could take the credit, but they are not my work, just showcasing them here. Thanks for reading though. I really enjoyed this article! I really want a bee tattoo as well and have for quite some time! I was happy to find this! Appreciate the kind comments and the love of art even in tattoo form. Thanks for reading. Thundermama, these are cute, I am not into tattoos, but as art goes they are beautiful, especially the one with the Dogwood blossoms, which I love. Enjoyed the hub. Thanks Sharkey11! 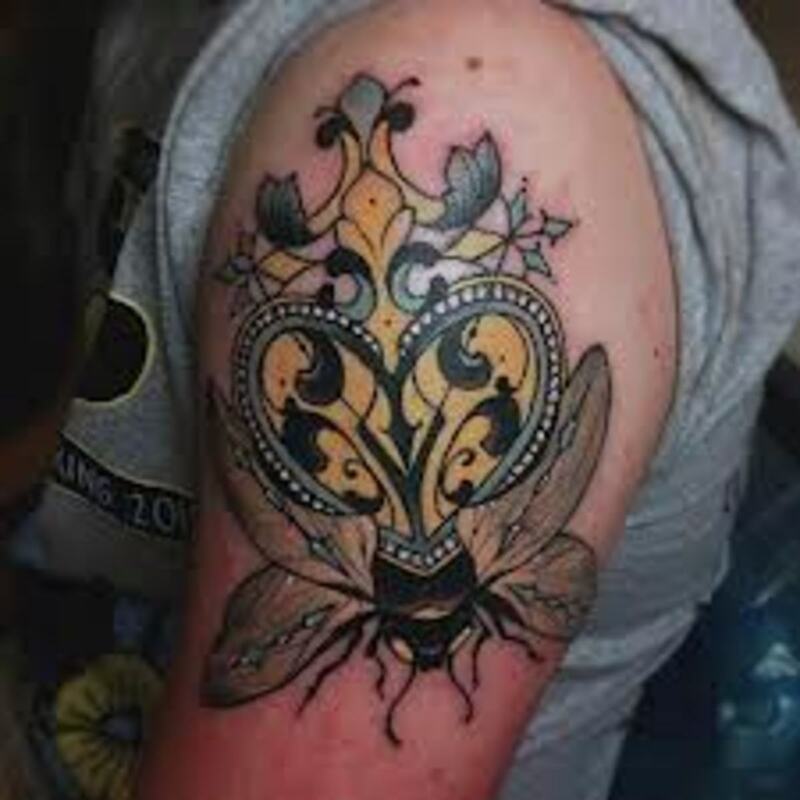 I agree, I love the ornate bee as well and have actually toyed with the idea of getting something like it. In the end though I have decided with some little bees. Glad you enjoyed the hub. Lovely! That ornate bee tattoo is just awesome! 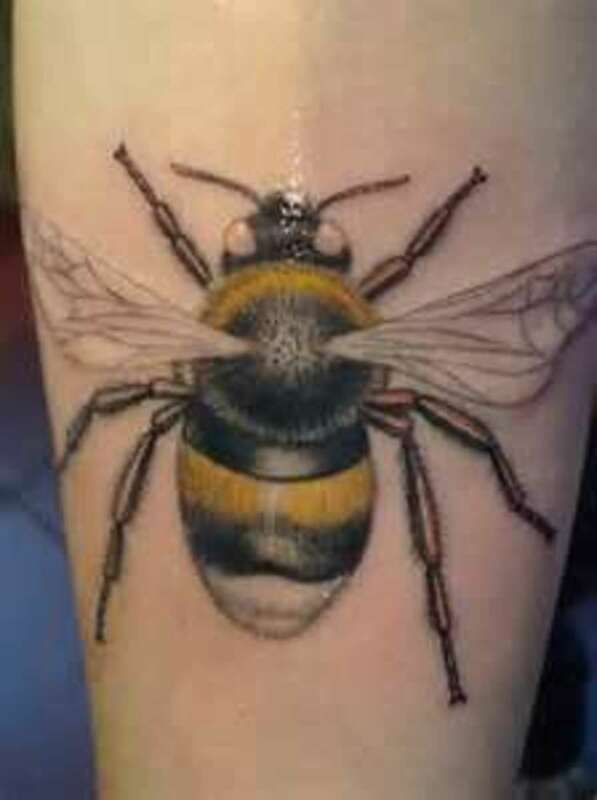 I wouldn't mind having a bee tattoo. To me bees are very mysterious and wise. Plus, they are industrious. 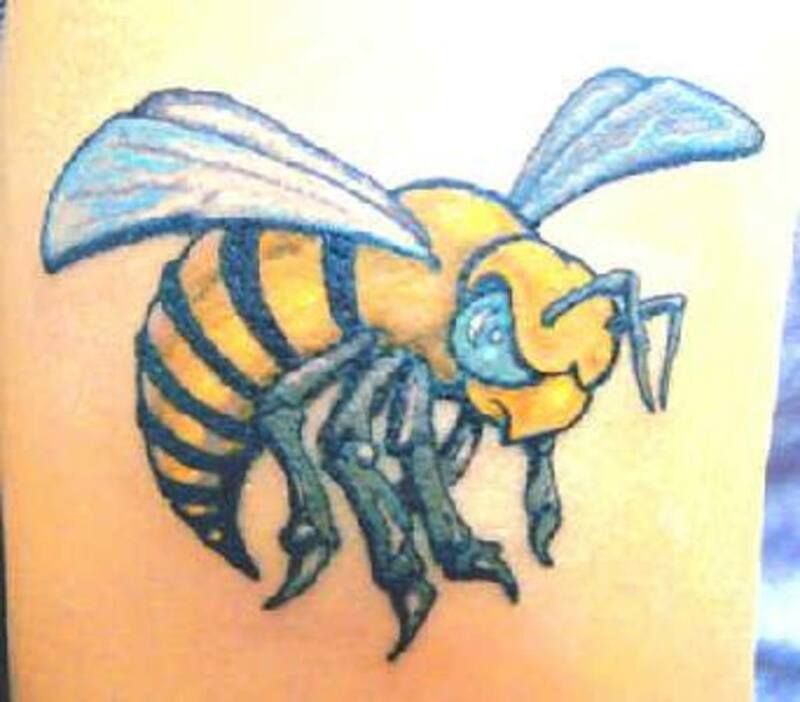 I would probably choose something like the stylized hip tattoo for my bee. Great hub! Really enjoyed admiring the photos! Thanks for dropping by Eddy, you're right you will wake up one day and know that it's time. That's pretty much how it happened for me. Best not to rusher force these things. 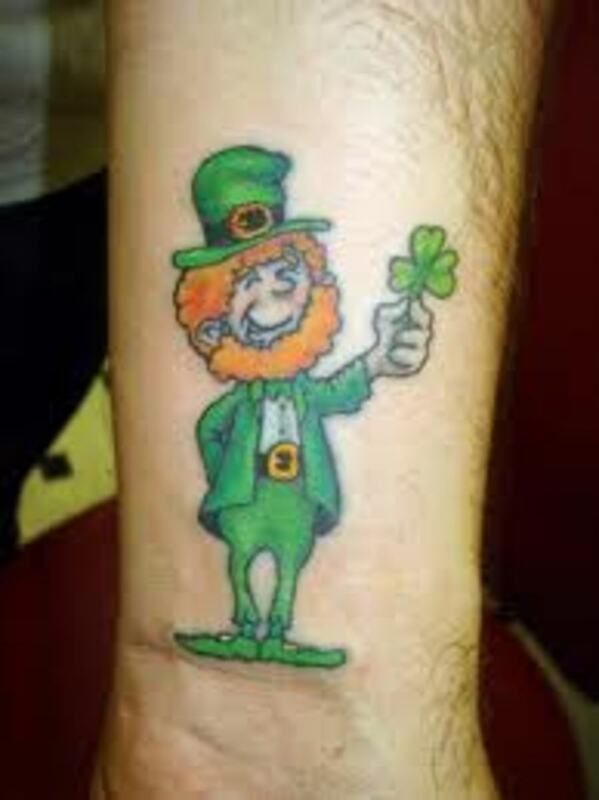 I have been promising myself a tattoo for as long as I can remember ;but as always I just cannot get round to it. One day i will say "Right today it is!!!". I loved your ideas here. I shall let you know when I have mine done and you may just inspire me. You're right, it does look like a wasp and I am so not a fan of them either. Thanks for the well wishes on my swarm! 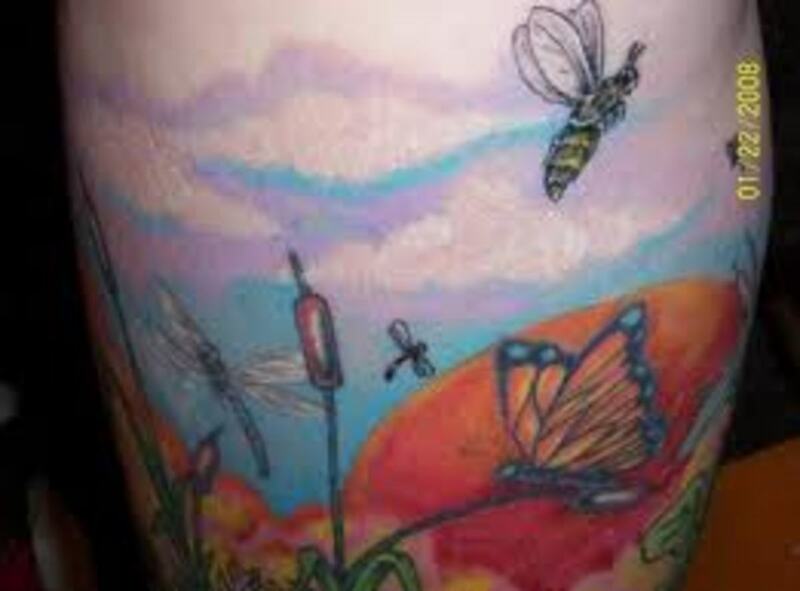 I love bees too, though the angry bee tattoo reminds me more of a wasp....totally different feelings towards wasps! One of my friends has a dinky bee on her wrist, which can be hidden by her watch at work. Interesting hub, and I hope your swarm works out well. Kidscraft, thank you for reading and enjoying the artistry of tattoos even though it is not something for you. I can't guarantee this, as I have never gone through childbirth, my three girls are adopted, but I suspect childbirth would be more painful then getting a tattoo. However, you do get a wonderful baby out of the deal. LOL, thanks again for stopping by. Good luck with your project....and happy birthday! bb, thanks so much for always being one of the first to read and comment on my hubs. A more supportive fellow hubber I could not ask for. And I suspect all my tattoo hubs might eventually wear you down. How about a tiny ladybug? Those are cute, and on the right person would look cool....but I ain't that right person. LOL Good job of explaining and the pictures are great. I hope you are doing well my friend! Thanks so much for reading h.o. I agree, it is amazing how talented these artists are. Thanks for the birthday wishes. 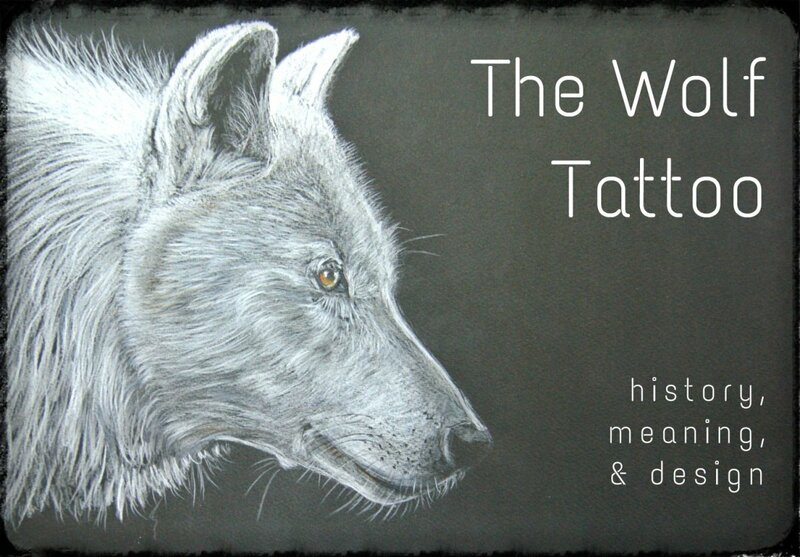 This was quite interesting, Thundermama, and I'm in awe of the talented tattoo artists whose works grace your hub. 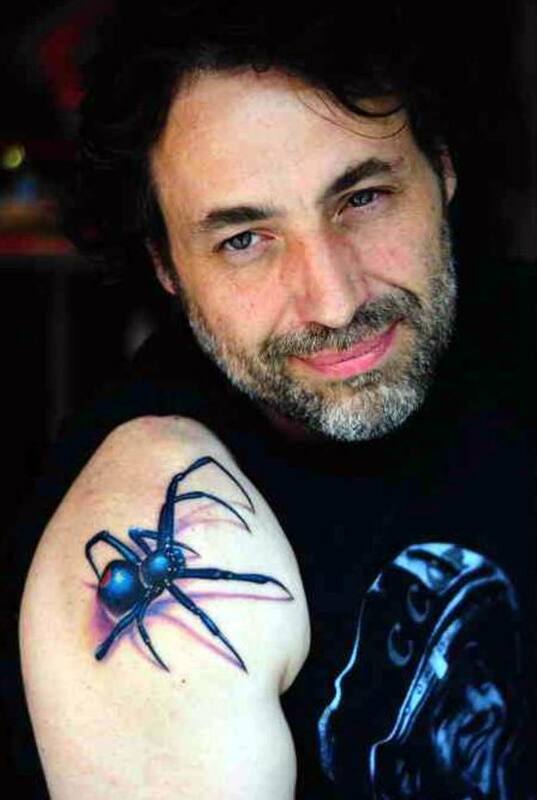 Best wishes for both your 40th birthday and the tattoo project in honor of it.